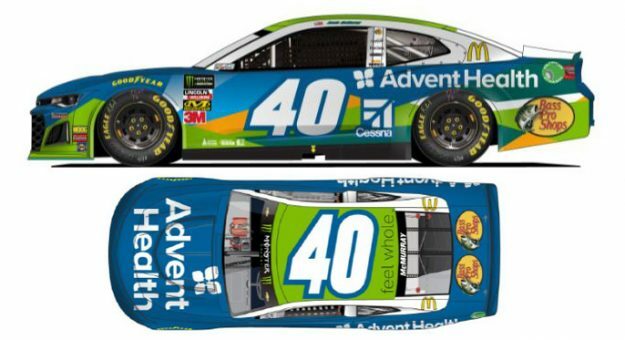 AdventHealth announced today that former Daytona 500 champion Jamie McMurray will run the No. 40 AdventHealth Chevrolet Camaro ZL1, in the 2019 Clash at Daytona. The entry, in conjunction with Spire Motorsports, is the season-opening event of 2019 at Daytona Speedweeks Presented by AdventHealth. “I am looking forward to getting back in the car at Daytona and to have AdventHealth onboard with us for this race,” McMurray said. “We have had a great relationship with everyone at AdventHealth over the last several years. It means a lot to have them partner with us on this special event. With everything that they have going on at Daytona International Speedway throughout Speedweeks, both as presenting sponsor and with their Fan Injector, I am very happy to be a part of it all”.